After we have prayed for daily bread and forgiveness, we are made clean and strong, ready for duty and for battle. But before we go out into the world we must pray that God would lead us and protect us. The petition here for leading is really a plea for mercy—that God would not lead us into situations where it would be too difficult for us to bear under trials, so that we would give into sin. The second part, that He “deliver us from evil,” is the answer to the first part. That is, if He does not lead us into temptation, what He does is the opposite—He delivers us out of it, out of the evil that it brings to us. Trials are good for us as long as we are able to bear under them. But when they overcome us, we fall into sin and ruin. Hence, this petition is that we will be free of the trail that is too hard for us to bear. It is a prayer that He will give us a way of escape from those trials (1 Cor. 10:13), or a way to go through the trials without being harmed or corrupted, that the trial would instead serve to build us up in faith. So when we pray we ought not to pray against the trial, but rather against evil and against the devil. For God will use the trial to build you up (Ja. 1:2-3), but the devil wants to use the trial to destroy you. The way you should pray is by the use of the Word. For it is by the Word that we can resist the devil. Therefore, in your prayers claim verses like 1 Corinthians 10:13—that He will provide for you a way of escape; and like 2 Peter 2:9—that you will be rescued out of trials. You could also pray James 1:12—that He will help you to persevere under trials, so that when the trials test your faith they will produce in you patience, which will work to make you perfect and complete, lacking nothing (Ja. 1: 2-4). 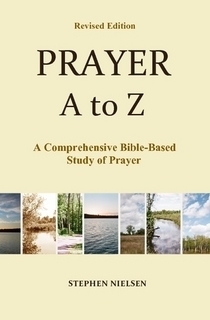 This entry was posted in How To Pray, Prayer A to Z Excerpts, The Lord's Prayer and tagged 1 corinthians 10:13, Matthew 6:13, prayer, The Lord's Prayer, trials. Bookmark the permalink.